A recording has emerged of the Italian government's chief spokesman threatening to "eliminate a tide" of treasury officials unless they find the money for projects, including a basic income grant, promised in March elections. The recording, made by two Huffington Post journalists and widely distributed by Italian media on Sunday, threatens to embarrass the populist government just days before it is due to present an annual budget. 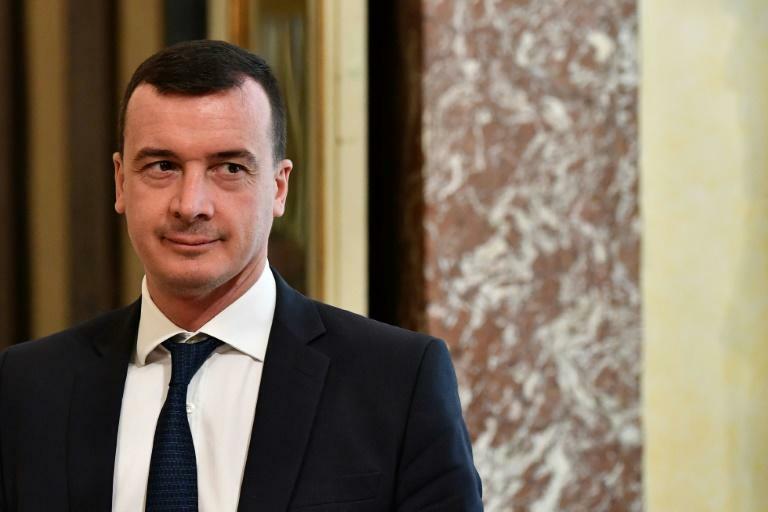 Spokesman Rocco Casalino, aligned to the anti-establishment Five Star Movement (M5S), warns on tape of a "mega-vendetta" against finance ministry functionaries "if they do not find the money". "The year 2019 will be dedicated to eliminating a tide of members of the finance ministry. The knives will be out," he can be heard saying. Casalino, spokesman for the government of Prime Minister Giuseppe Conte, said on Sunday the recording was made during a "private conversation" with the journalists, and complained of a "violation of confidentiality" -- a charge the Huffington Post rejected. Italy's government -- made up of an alliance between the populist M5S and nationalist League -- made a series of costly pledges in a joint government programme they said would be financed by economic growth. The promises, including significant tax cuts combined with a basic income for the unemployed and those living on low wages, have been estimated to require as much as 100 billion euros ($117 billion) while Italy's public debt stands at 132 percent of gross domestic product (GDP). In July, the country's growth forecasts were revised downwards, a potential roadblock to keeping the election promises. Earlier this week, EU commissioner for economic affairs, Pierre Moscovici, said Italy must present a "credible" budget for the coming year, and described the anti-establishment government in Rome as a "problem".